This is where you should commence from when you are using the Meetingify app. After you have created your account, or logged in, you will be redirected to the Home Page. On this page, you will have several options to choose from, including Meeting List, Create Meeting, All open To-Do’s and Settings. Once you click on Meeting List, you will be able to see the details of all the meetings you have created or have been invited to attend. If you want to create a meeting, you can select the second option where you can outline the parameters for your meeting. From this second page, it is also possible to sort through the details of your meeting. These details include the agenda, participants, notes, to-do lists and the files that have been uploaded. 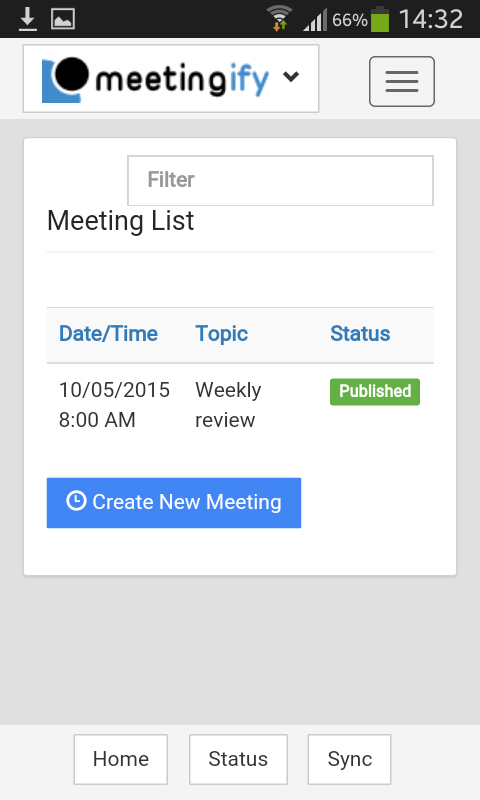 Finally, on the Meeting List page it is possible to search and filter through the list of meetings using a string. As the meeting progresses, there will be lists created to ensure that all those who are participating have to-dos that are to be executed. These lists are arranged according to the email addresses of the participants, for ease of forwarding the information. The to-do list can be edited with ease, and once it is complete, it can be ticked to confirm c ompletion or also be deleted. 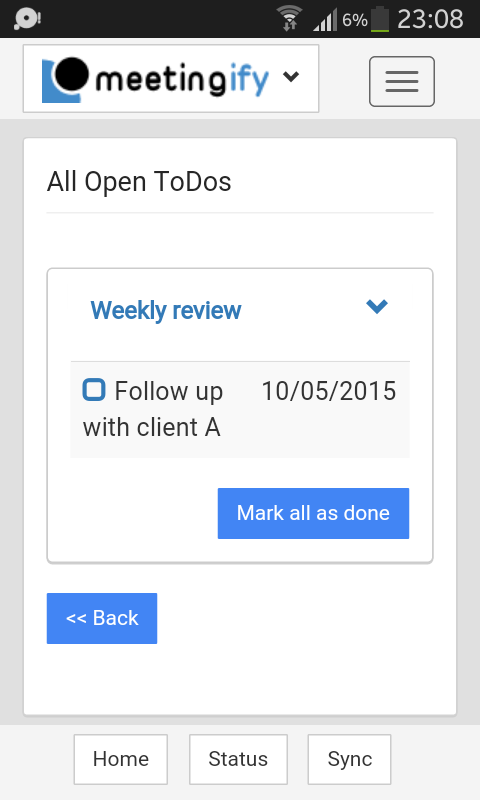 If necessary, one can choose to print out the to-do list by simple choosing the print view option. To-do lists can also be listed based on the meeting that they refer to, and when completed, all the items on the list can be marked as done. There are times in the course of the meeting where it becomes necessary to synchronize all the information for all the participants and users. 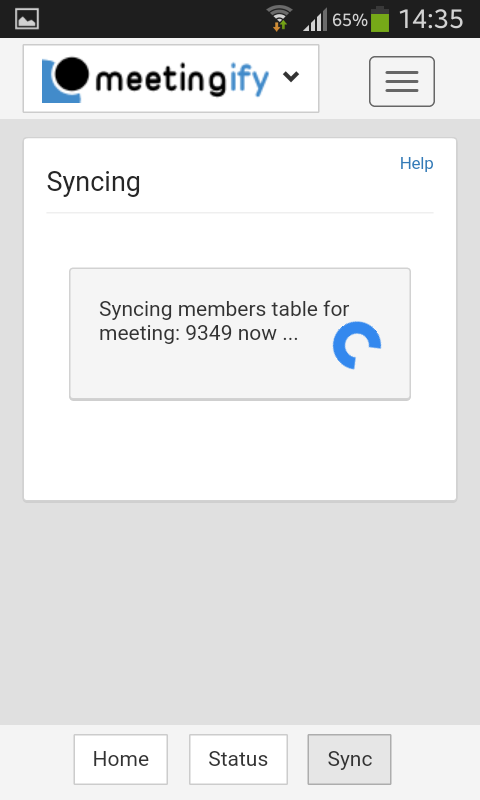 By simply pressing the sync button, it is possible for a participant to sync the information that has been provided by all others involved in the meeting. Once can choose to sync in the course of the meeting when a decision has been made or at the close of the meeting.